The book consists of 551 practical puzzles from the January 2013 to July 2015. 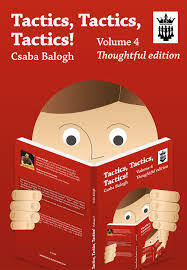 The book is divided into 7 sections:, "Winning material", "Mate", "Draw", "Silent", "Simplification", "Mating Attack". At the end of the book you can check your tactical skills in a test format, where the puzzles are mixed from the previous chapters.